Typical front suspension with torsion bar. In '99, GMC replaced coil springs with torsion bars that allow you to adjust the ride height. One of my customers referred me to his co-worker who owned a '06 Chevy Tahoe with 150,000 miles. 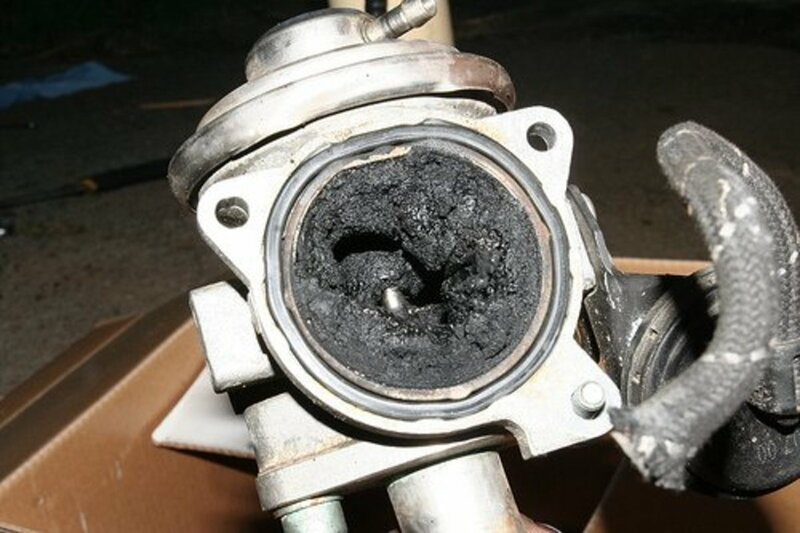 The owner complained about his truck's rough, noisy ride and I confirmed his complaint while driving the car myself. Considering the age and mileage on the truck, I recommended he replace all the front suspension components instead of replacing them piecemeal "hit and miss." He agreed to the repair. When all the work was completed, he was very happy and described the ride as being like new. The lower control arm with new bushings and ball joint was not cheap. Getting just replacement bushings and a ball joint would have reduced the cost, but the additional labor involved, in my opinion, wouldn't have been worth it. 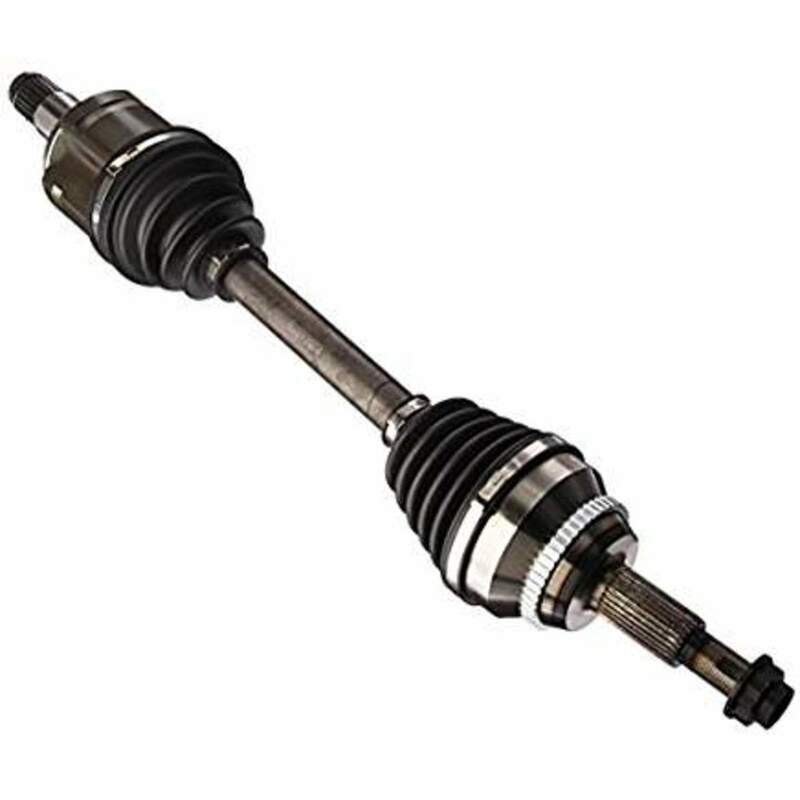 If you replace just the ball joint and bushings, you'll have to acquire specialty press tools for both worn items and you may get frustrated when you run into problems pressing them out and in. 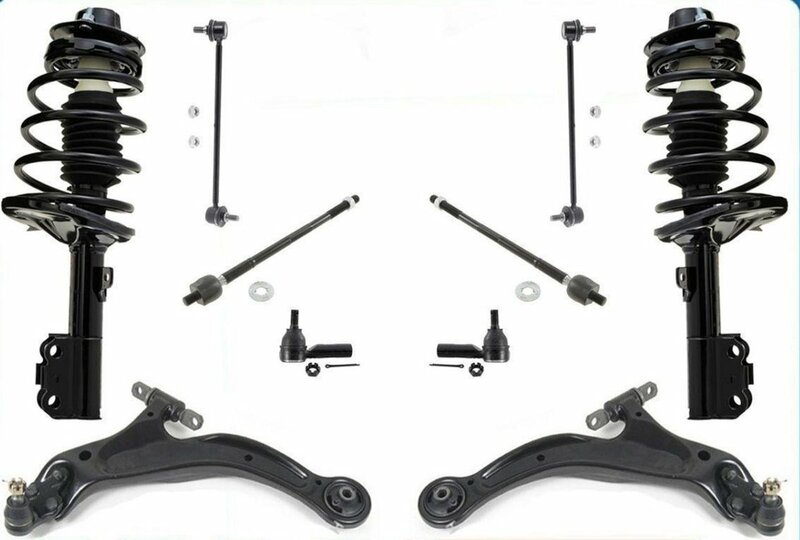 The upper control arms, shock absorbers, and stabilizer/sway bar links are relatively inexpensive. Shop around on-line and you'll see there's an ample supply of vendors providing parts considerably cheaper than your local retail parts vendor. The suspension parts replaced in this article were for a rear-wheel-drive Tahoe. 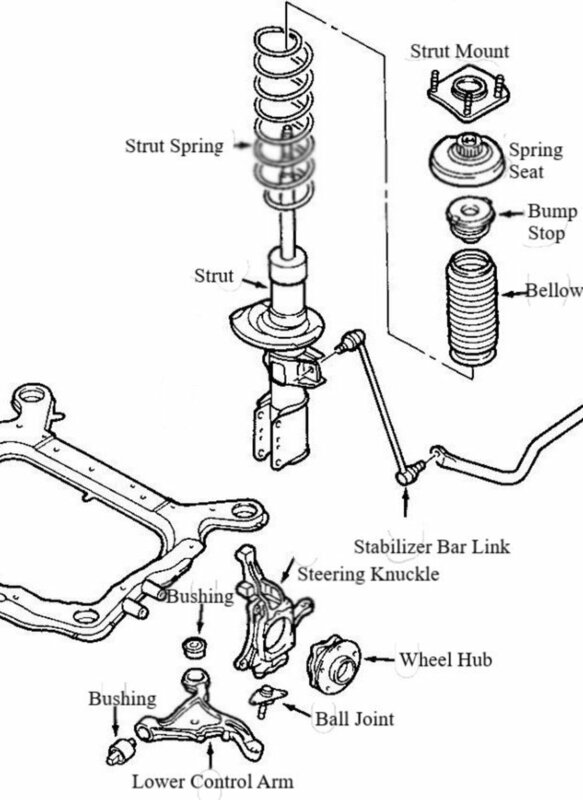 To perform the same service for a four-wheel-drive suspension, you would have to perform the additional steps below before removing the steering knuckle. These steps aren't shown in the video. 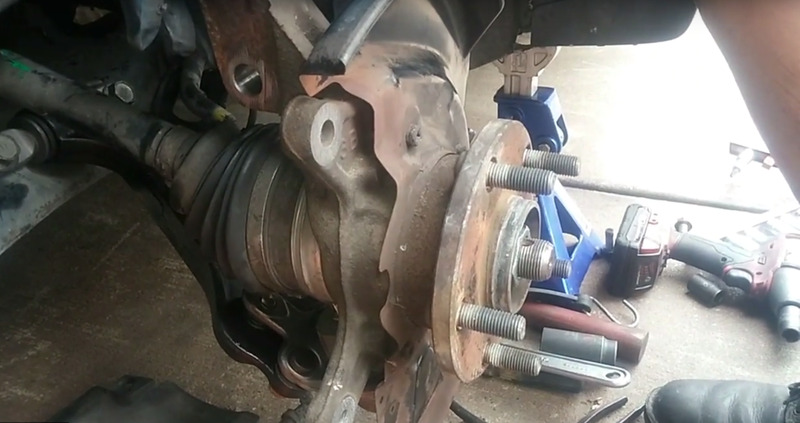 The videos below, with text instructions, will show you step-by-step how to replace the front suspension components on a Chevy Tahoe ('01-'06). Apply paint (spray paint or a paint stick) to the threads on the torsion bar adjustment bolt. The purpose is to allow you to reset the bolt later, after you install the new suspension components, back to where it was before you loosened it. Loosen the adjustment bolt until there is no tension left on the bolt. Detach the ABS and brake line brackets attached to the steering knuckle control arm. 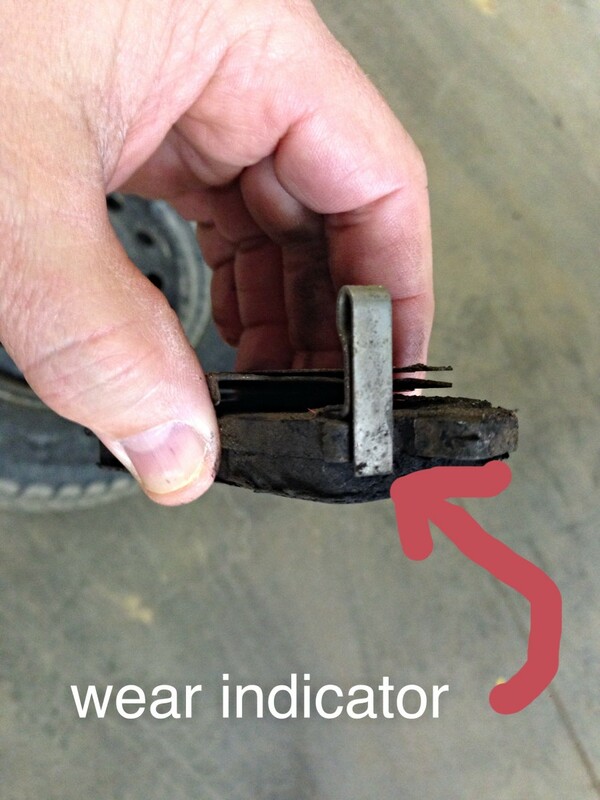 Unplug the ABS line from the steering knuckle to the connector located behind the top of the shock absorber. Remove the brake caliper bracket bolts and lift the caliper assembly off the brake rotor. Remove the outer tie rod nut and apply hammer blows to the steering knuckle to jar loose the tie rod end stem. Remove the shock absorber. Use channel pliers to prevent the shock absorber from twisting while loosening the upper shock stem nut. Remove the lower shock's nut and bolt. Remove the stabilizer link (sway bar link). I recommend applying penetrating oil where the link stud meets the stud nut. 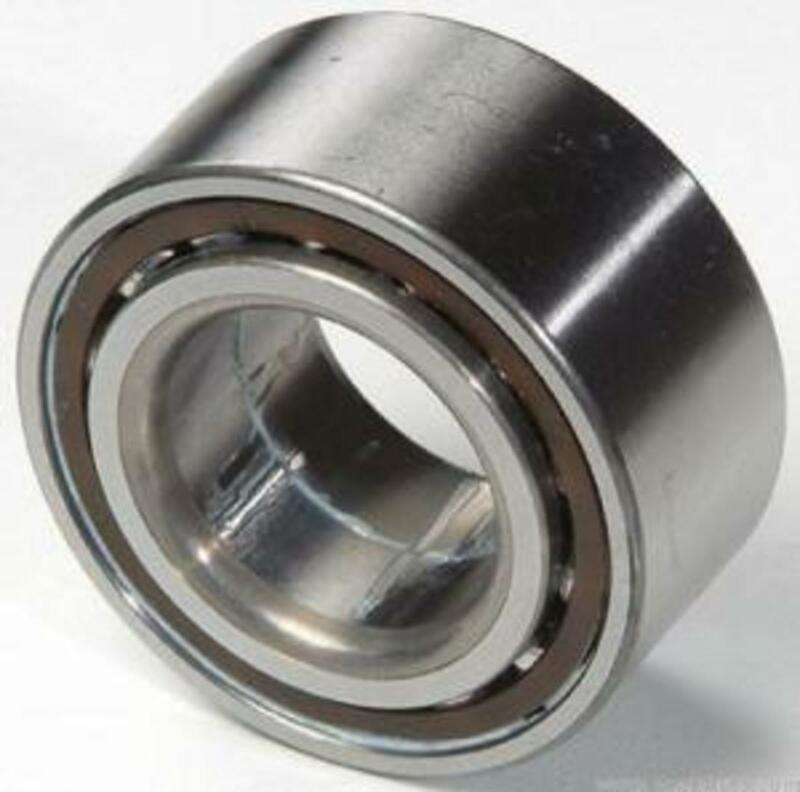 If the nut is rusted in place, you may have to cut it off with a high-speed metal cut-off tool or reciprocating saw; otherwise, remove the stud nut and pull out the link stud. Apply paint marks on the upper control arm's front and rear camber adjustment plates with the degree alignment pin. The paint marks will be used to set the camber alignment after installing the new upper control arm. Loosen the upper ball joint nut and detach the ball joint from the steering knuckle. Leave the nut around 1/2 inch down on the ball joint stud. Support the lower control arm with a hydraulic jack. Apply hammer blows to where the knuckle meets the ball joint to jar it loose. Afterwards, remove the nut and pull the ball joint away from the steering knuckle. Remove the upper control arm's front and rear bushing mounting nuts and bolts. The brake line bracket may have to be detached to allow the front bolt to come out. Do not mix up the camber alignment plates. Keep them on the removed bolts. Wiggle the upper control arm out of the chassis mounting points. Loosen but do not remove the lower control arm nut. Screw off the nut around 1/2 inch below the knuckle. Detach the steering knuckle from the lower ball joint by applying hammer blows where the ball joint meets the knuckle. Re-attaching (but not torquing down) on the tie rod end stem back into the knuckle will help stabilize the knuckle during the hammer blows. Detach the tie rod end, remove the lower control arm nut and remove the steering knuckle. 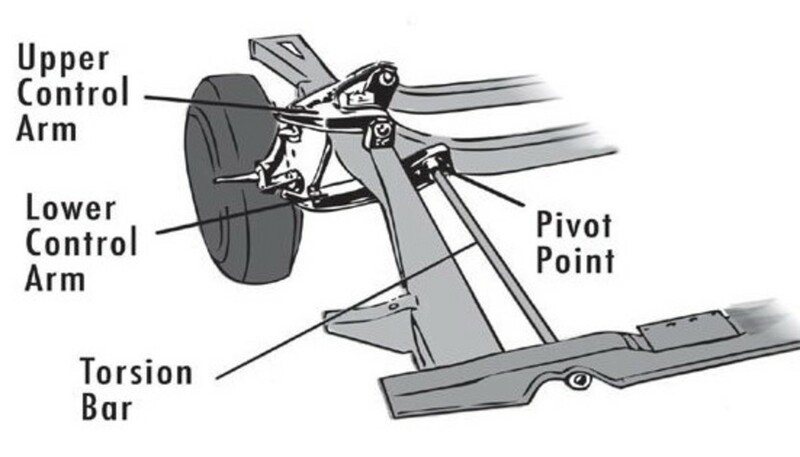 Use a paint marker to note where the torsion bar aligns with the center point of the lower control arm. Remove the front and rear nuts and bolts that hold the lower control arm to the chassis of the car. Wiggle out the lower control arm from the chassis mounting points. The torsion bar should detach from the control arm during the removal. If it is stuck due to corrosion, apply light hammer blows to work it loose. Apply grease to the control arm's chassis mounting points to ease installation of the new control arm bushings. Since the lower control arm is heavy, prepare to support it with a hydraulic jack and, if you want, with a bungee cord. Starting from the rear mounting point, attach the torsion bar to the control arm (use the paint mark to ensure position) and angle the rear control arm bushing into the chassis mounting point. Some light taps with a hammer will ease slipping the bushing into the rear mount. Align the control arm's chassis mounting point holes with the lower control arm's bushing holes. Install the bushing nuts and bolts. Tighten but do not torque down the nuts and bolts. Using a hydraulic jack, raise the lower control arm until parallel with the ground. Pump grease into the new lower control arm's ball joint via the grease fitting. Attach the lower portion of the steering knuckle to the lower control arm's ball joint stem then screw on and torque down the ball joint's nut. Wiggle in the new upper control arm into the control arm chassis mounting points. Align the mounting point holes with the control arm's bushing holes and install the front and rear nuts and bolts with the camber adjustment plates. Ensure the paint marks are in alignment with the alignment pins before torquing down the nuts. 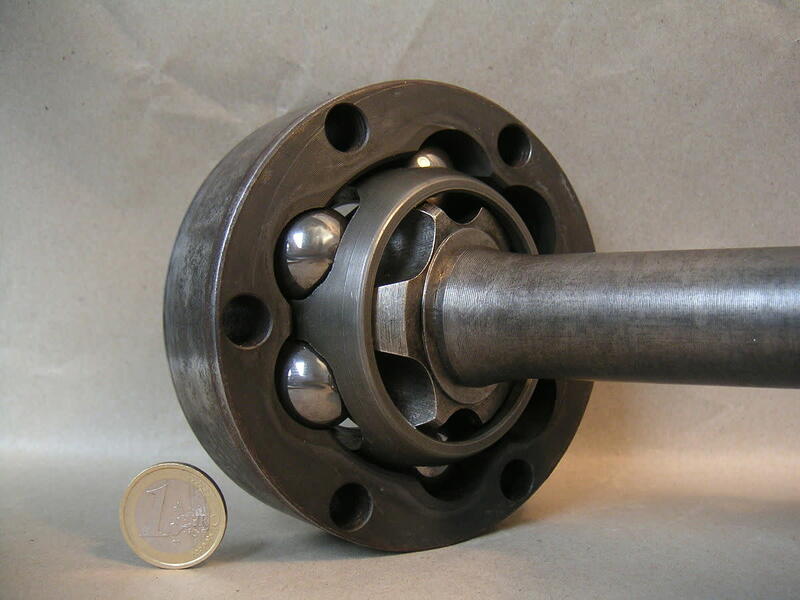 Attach the upper control arm's ball joint stem to the upper portion of the steering knuckle. You can use the hydraulic jack to assist raising the steering knuckle to meet the stem. Screw on the nut then torque down. Pump grease into the upper control arm's ball joint via the grease fitting. Torque down all nuts and bolts. Install the brake rotor and hold in place with a lug nut. Install the new shock absorber. Connect the lower portion of the shock to the lower control arm with the shock's nut and bolt. Keep the nut and bolt loose. Then connect the top portion of the shock absorber with the new bushing and washer and cut the service cable to release the shock's compression tension. The top stem of the shock should extend into the chassis' shock mounting hole. Install the shock's upper bushing and washer. If the shock's stem will not extend through the mounting hole, use the hydraulic jack to push up on the lower control arm. The shock's stem will rise up. Screw on the shock's nut and torque down which will compress the rubber bushings. Torque down the lower shock absorber's nut and bolt. Rotate the steering knuckle inward (by grabbing the brake rotor) to ease mounting of the brake caliper assembly. Install and torque down the two brake caliper bracket bolts. Rotate and align the steering knuckle with the outer tie rod and attach the tie rod and nut. If the tie rod stem spins during the nut installation, you can hold the stem with an adjustable wrench while tightening the nut. Connect the brake and ABS line brackets. If any brackets are broken, use tie straps as substitutes. Connect the ABS connector located near the top of the shock absorber. Bolt the brake line bracket to the fender well. Connect the new stabilizer bar link to the stabilizer bar and lower control arm. Tighten the torsion bar key bolt to its previous setting based on the paint marks. Install the front wheel and check the height of the front end compared to the rear end. The height is measured by placing one end of the ruler on the ground and recording the distance to the top portion of the fender wheel opening. Make sure tire pressures are all equal. If the front end is lower than the rear end, tighten the torsion bar key bolt until the heights are equal. If the bolt bottoms out, the torsion bar key is worn out and should be replaced ... another DIY video. The torsion bar key is a wear component for the front suspension, though the rate of wear can vary. The key is considered worn out when the key adjustment bolt is "maxed out" (bottomed out by turning clockwise) and the front end ride height is below the rear end height. 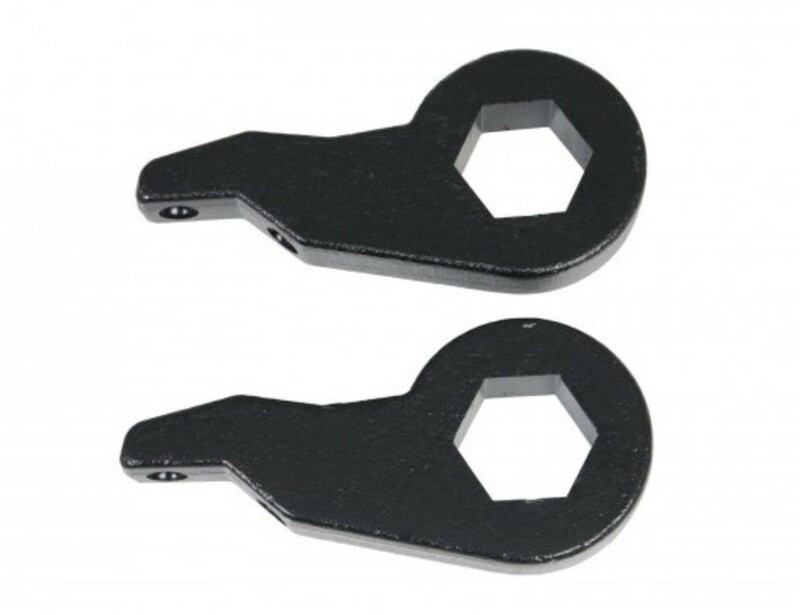 Torsion bar keys are simple components, relatively inexpensive, and not difficult to replace with the proper tools. Replacement of the keys is not covered in this article, though it may be in a forthcoming one.